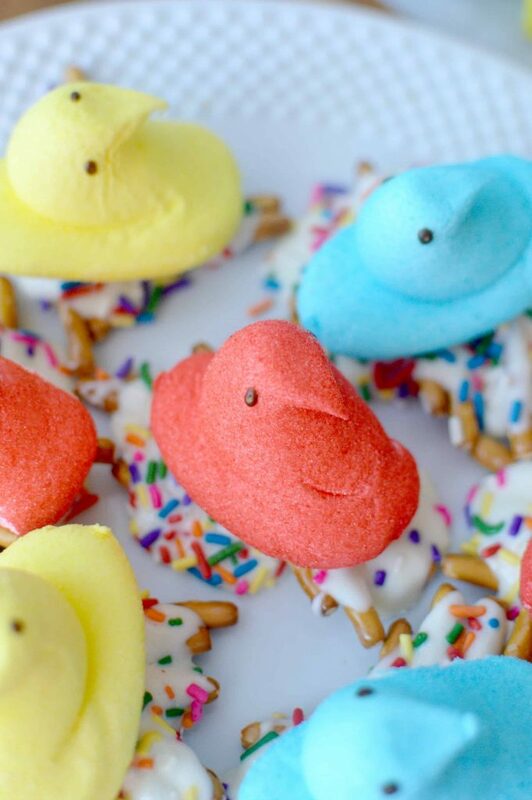 Who doesn’t love Peeps?! 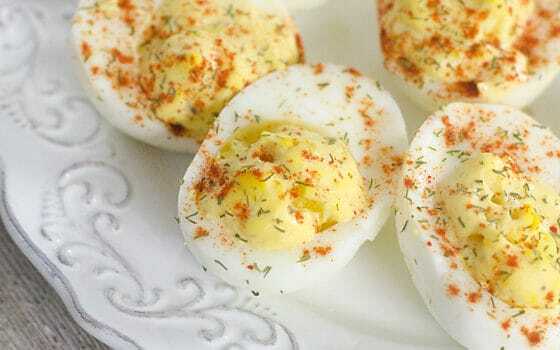 They’re classic treats that are tons of fun to incorporate into different recipes. 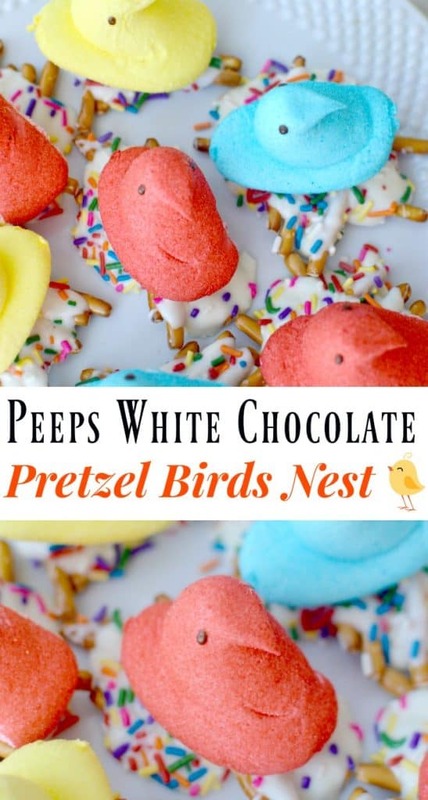 These Peeps white chocolate pretzel birds nest are perfect to set out at your Easter table or even line up along your favorite cake! I’ve seen various ways of making chocolate dipped birds nest, but for mine, I wanted the pretzel to actually look like a birds nest with twigs. I think the white chocolate gives it a pretty snow like affect, doesn’t it? 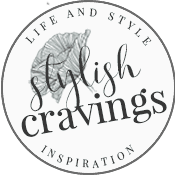 You’ll find the instructions below. 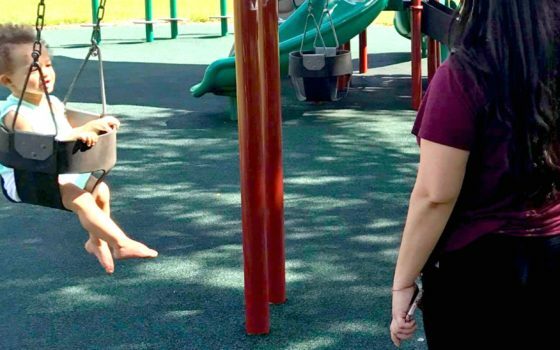 Even the kids can follow along and help! Lay out your pretzels. **I used four on bottom and three on top for a sturdy hold. Melt your chocolate at 30 second intervals. 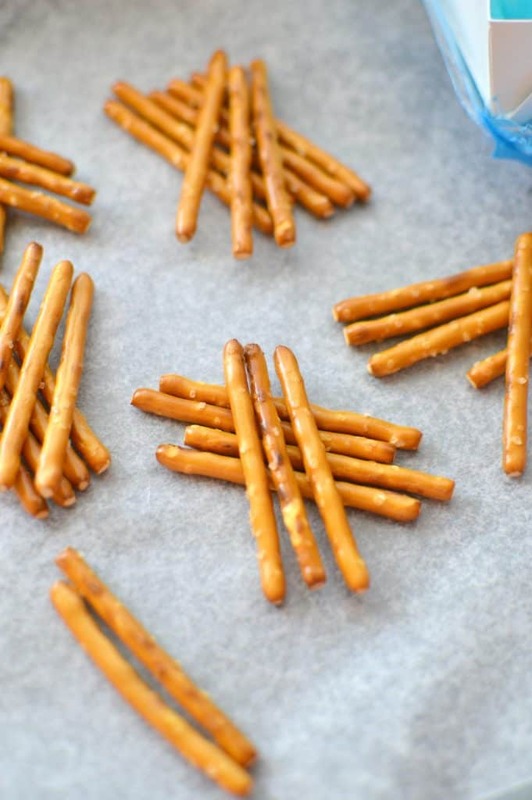 Pour chocolate over pretzels using a tablespoon. 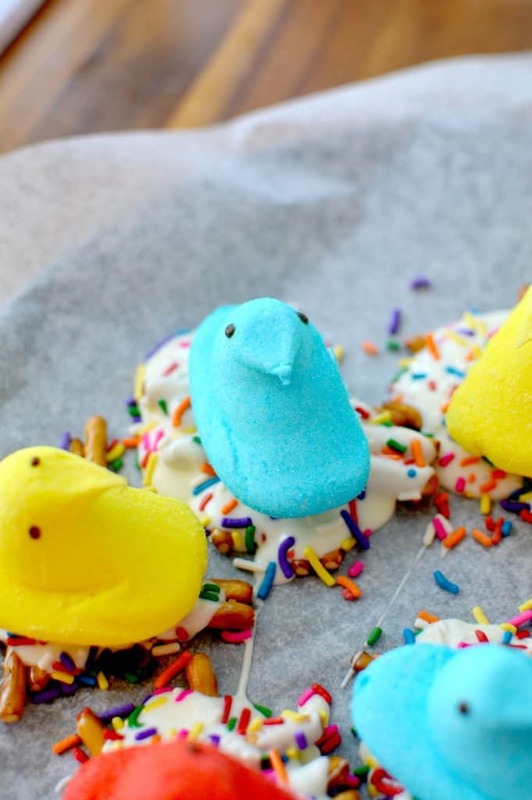 Add sprinkles, top with Peeps and allow chocolate to set for about 40 minutes. 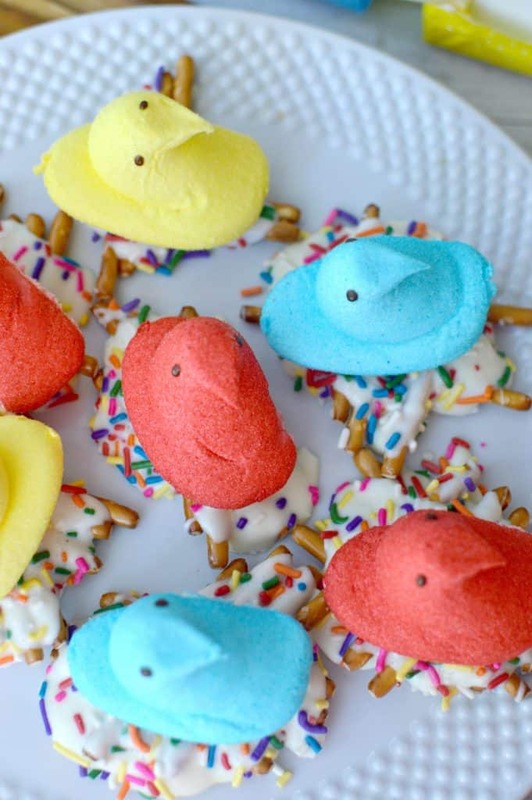 I think these Peeps white chocolate pretzel birds nest along with the Easter candy bark I made last week will give our Easter table a great sweet pop of color!